Sia, Benjamin Mione, Dylan, Brendan, Sanmati, Maxwell, and Benjamin U. joined us for this Saturday's CDA competition. After 3 rounds of debate, Ben and Maxwell were one of the top two scoring Varsity teams and so they qualified to compete in the final public round. They went on to win on a 4-1 decision!! Ben took 6th Place Overall Varsity Speaker and Maxwell took 7th. It was very exciting and we are so proud of them!! 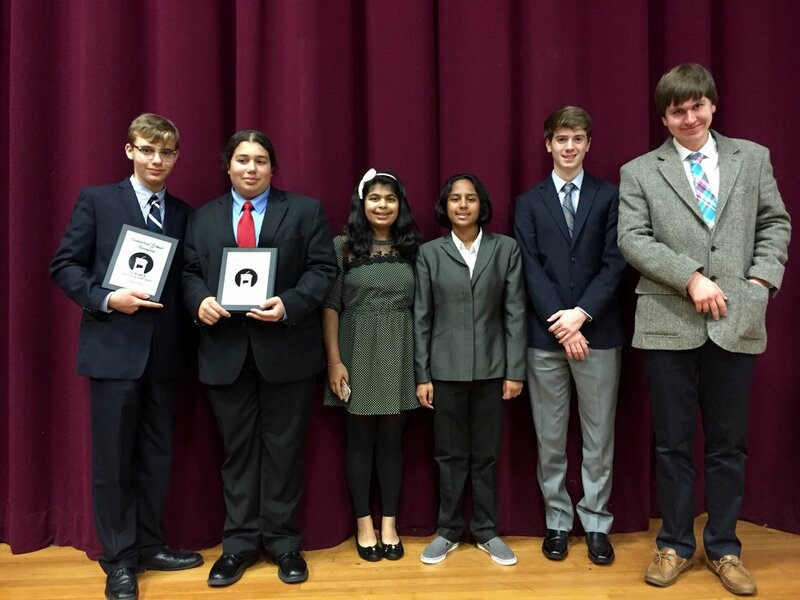 For the rest of our debaters, it was their first-ever debate competition! Sanmati and Sia won all 3 of their rounds, and took 6th place novice team, a very impressive feat for their first competition!! Congratulations to all our debaters! !